No one knows the moment of the Final Judgment. It seems that the Mother of God is going in front of Christ, like a modern-day John the Baptist. 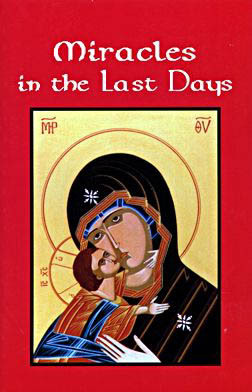 This is a book about these Last Days and the miracles associated with the call by the Virgin Mary and the Saints to repentance and a return to the living out of Christ’s Gospel. Softcover 410 pgs.